It’s hard to believe that just three years ago next month Kevin Hawkins joined WAV Group to head up our newly established Communications Division, becoming President of WAV Group Communications. He’s helped assemble a list of blue chip clients that include RESO, America’s #1 real estate agent (Ben Caballero of HomesUSA.com), the #1 tech support firm for real estate agents (Florida Realtors® Tech Helpline), #1 real estate marketing technology firm (Imprev), the #1 luxury real estate tech firm (Gabriels Technology Solutions), FinTech’s most innovative mortgage banking and wealth management firm Opes Advisors (now a Division of Flagstar Bank), and many more. Now we’re proud to announce another major accomplishment: Kevin’s been accepted into the Forbes Real Estate Council, an invitation-only community for executives in the real estate industry. This is a handpicked group of industry leaders, and Kevin will be providing content on Forbes.com through both Blogs and by contributing expert advice. This shouldn’t be too hard for Kevin, for those of you that know him or read his work. 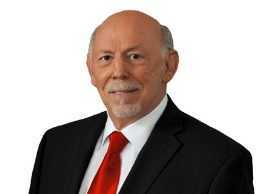 He joined the National Association of Real Estate Editors in 1986, and is the only non-journalist to have won two NAREE writing awards in the 88-year history of this very prestigious organization, and he has been widely published, including more than 50 major magazine feature stories, many profiling leaders of the real estate industry. Seattle, WA – August 22, 2017 – (RealEstateRama) — Kevin Hawkins, President of WAV Group Communications, has been accepted ito the Forbes Real Estate Council, an invitation-only community for executives in the real estate industry. Hawkins, award-winning strategic communications veteran, joins other Forbes Real Estate Council members, who are hand-selected, to become part of a curated network of successful peers and gain access to a variety of exclusive benefits and resources, including the opportunity to submit thought leadership articles and short tips on industry-related topics for publishing on Forbes.com. Hawkins, who runs the public relations and strategic marketing communications division for the WAV Group, Inc., based in Arroyo Grande, CA, said, “It is vital for real estate companies today to build trust through effective communications and becoming part of the Forbes Real Estate Council and having an opportunity to significantly raise awareness about the importance of strategic communication is energizing,” said Hawkins. 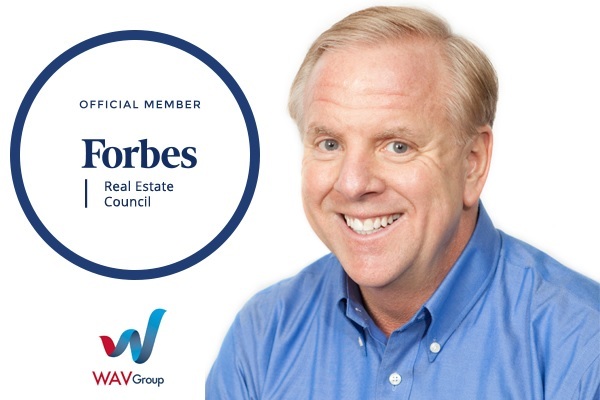 “The visibility and networking opportunities the Forbes Real Estate Council provides is truly unique and our hope at the WAV Group is that it will expand our reach within an industry we know deeply,” he added. Named one of real estate’s most influential leaders for 2017 by Inman News, the number one real estate news site, Hawkins leads the WAV Group’s efforts to expand and deepen the communications services provided to leading Multiple Listing Services, REALTOR® Associations, top real estate brokerages, and real estate technology firms. Victor Lund and Marilyn Wilson, two of the most well-known and respected business consultants in real estate, run WAV GROUP, which they established in 2004. Hawkins joined WAV Group in 2015 to run its communications division. He has successfully launched and promoted hundreds of new business and consumer products and services in residential real estate, mortgage finance and technology sectors, transforming communications programs for small and medium sized businesses, as well as Fortune 500 companies. Among his current clients are Real Estate Standards Organization or RESO, based in Raleigh, NC; Florida Realtors® technology firms Form Simplicity and Tech Helpline, based in Orland, FL; innovative mortgage lending and wealth management firm Opes Advisors, a Division of Flagstar Bank, based in Cupertino, CA; HomesUSA.com and Ben Caballero, the #1 real estate agent in America, ranked by REAL Trends, based in Addison, TX; hot new startup zavvie, the nation’s first hyperlocal marketing platform for real estate agents, based in Boulder, CO; Imprev, America’s largest marketing technology company, based in Bellevue, WA; and Gabriels Technology Solutions, the world’s leading authority on luxury real estate websites, based in New York, NY. WAV Group Communications also provides PR consulting services for a number of other real estate technology firms including FBS, creators of FlexMLS; Quality Services Certification, Inc. and RatedAgent.com; Property Panorama and its category-leading virtual tour platform InstaView; leading marketing and technology service provider Elm Street Technology; IDX website leader AgentSquared, and others. Previously Hawkins held marketing, communications and leadership positions at Fannie Mae, CHASE (then Great Western Bank), HomeGain, Inman News, and helped Inman establish its first Real Estate Connect conferences. He also headed up Communications and Marketing at Imprev, Inc. He is a graduate of the University of Miami, Florida and completed his graduate studies at the University of Southern California, towards a Master of Public Relations degree at the USC School of Journalism. Today he serves on the Council of Multiple Listing Services (cmls.org) Marketing and Communications Section Council. He also is a marketing mentor for FIRST Robotics Team 4915 Spartronics (www.spartronics4915.com), a world-championship competing high school robotics team from Bainbridge Island, Washington outside of Seattle. WAV Group has a depth of experience in technology, strategic planning, research, business development, sales, product development and marketing in the real estate industry. 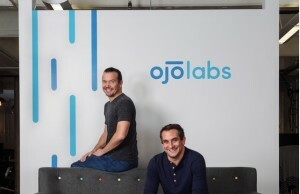 Its partners have collectively launched over 25 businesses and have led several hundred business process evaluations and system installations in North America, Europe and Asia. WAV Group has created significant increases in sales and profits for Fortune 100 to start-up companies and its include real some of the largest MLSs in North America, International real estate franchise organizations, technology companies and trade associations. Its diverse collection of global industry experience allows the WAV Group to cross-fertilize ideas and bring best of breed solutions to its clients. Discover more at www.wavgroup.com. New home sales in the Houston area are up nearly 12% in the last 12 months, as the pace of new home sales in Houston remained relatively flat in April, according to the HomesUSA.com New Homes Sales Index released today. The number of Days on Market for new homes sold in Houston was stable in April, indicating a continued steady new home sales pace.